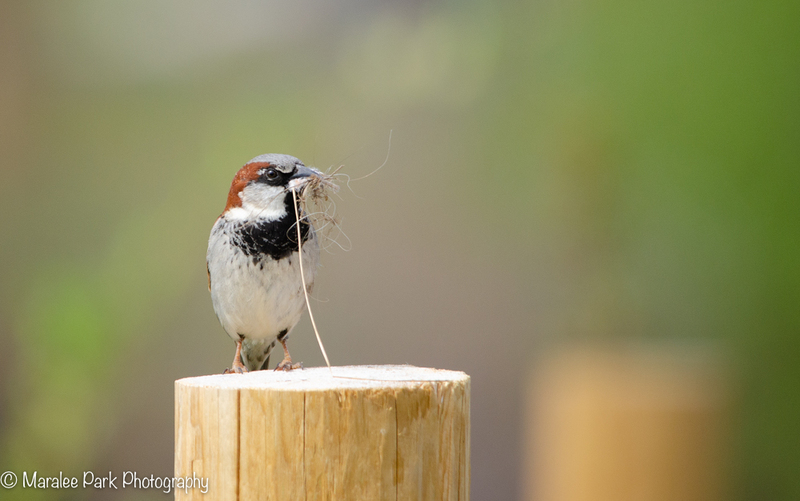 This little house sparrow had its mouth full with some nesting material. At least that’s what I think it was going to use it for. Now this is one species I think every blogger with a love for nature is familiar with! And another great photo as well, Maralee! I don’t photograph the sparrows very often because they are so common, but they’re still pretty cute.